A Sligo councillor has said he is considering his “legal options” after an RTE Investigates documentary allegedly filmed him agreeing to act as an intermediary for a fake company, formed by the documentary makers, claiming to represent investors seeking his support in connection with wind farm development in the county. In the programme, broadcast by RTE last Monday, Councillor Joe Queenan is alleged to have offered or agreed to act for the fictitious company. The programme also alleges he discussed investment in an agri business he said he was thinking about, and of which he thought the cost would be €400,000, with he himself being able to put of €200,000. The programme makers state that they had insisted the meeting should be conducted on a strictly confidential basis – seemingly the meeting was later held in a Sligo hotel. Queenan has formerly served as Chairman of Sligo County Council, Chairman the Sligo Institute of Technology, and Chairman the Sligo County GAA Board. He is currently a member of the board of the Sligo Institute, a position to which he was appointed this year by Labour’s Minister for Education, Jan Sullivan. Speaking on RTE’s Drivetime on Thursday Queenan described himself as the owner of a dairy farm, a supermarket in Enniscrone, the lessee of a supermarket in Strandhill, and an auctioneer. He is also an estate agent. The RTE Investigates programme alleges he is an agent for twenty-four landlords leasing properties to Sligo County Council. It is alleged by RTE Investigates that properties he owns were not listed in a statutory Declaration of Interests that all councillors are duty bound to complete and submit annually to the Ethics Registrar. The legislation requires all elected representatives must list all property interests or sources of income. Fianna Fail reportedly accepted Queenan’s resignation from the party immediately following the transmission of the RTE Investigates documentary. His resignation is also said to have been accepted by LAMA, the Local Authority Members Association, at the weekend. Sligo County Council has reportedly confirmed it is holding its own internal inquiry regarding the RTE documentary; with its Ethics Registrar looking into issues raised in the programme. The programme makers state that the Ethics Declaration of Interests was the “foundation for their investigation, “and that their “pitch” to Councillors was that they “wanted to eliminate the risks of not getting planning permission for the development of the projects the fake company they had set up was supposedly seeking. The programme alleges that when Queenan offered his services to them, “he focussed on the value of the pre-planning process.” The presenter states that this is where “the prospects of a potential developments are discussed with local planners. This is an important stage of any development, and section 247 of the Planning Act makes it very clear that it is a criminal offence for Councillors to seek ‘any favours, benefit or payment direct or indirect on his or her own behalf or on behalf of any other person or body” for work they might do in this area. 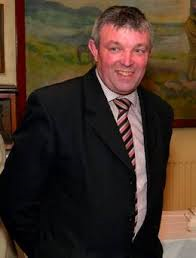 Queenan, a member of Sligo County Council for the last 18 years, is alleged in the televised RTE Investigates programme to have explained how he would be able to assist Vinst Opportunities, the fictitious company set up by the RTE Investigates Unit. Speaking with an undercover reporter using the name ‘Nina’, who identified herself as an agent for the fictitious company, Queenan allegedly states on the film, “Really what I can be here is a link man or a gopher or whatever between your architects and the local authority. And I can be the eyes and ears and I will know, because they will tell me. Solicitors for Queenan said the Councillor was not corrupt; he did not want a fee. Asked by RTE Primetime presenter Mary Wilson on Thursday whether he should “do the honourable thing and resign from the Council,” Queenan replied, “Absolutely not.